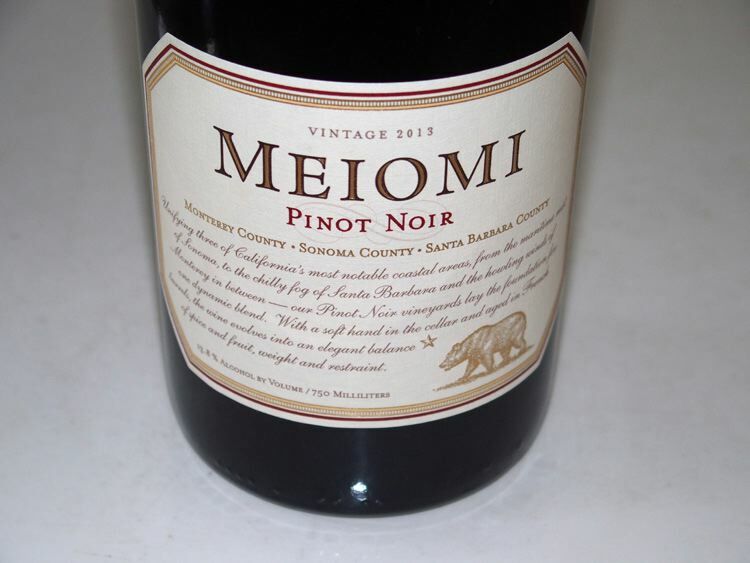 The popular Meiomi label was sold in 2015 to Constellation Brands for a staggering $315 million, bringing attention to a stylistic Pinot Noir that consumers embraced. Founded in 2007 by Napa Valley winemaker Joe Wagner, the son of Chuck Wagner of Caymus fame, the Meiomi brand has gained unprecedented popularity in a relatively short time, becoming the top restaurant Pinot Noir by the glass and one of the two most popular restaurant Pinot Noirs (along with Emeritus) in a matter of seven years according to the 26th Annual Wine & Spirits Restaurant Poll published in 2015. In 2014, the brand received the prestigious Market Watch Leaders Choice Award for “Wine Brand of the Year,” and in 2015, Meiomi was on pace to sell more than 700,000 cases. Meiomi means “coast” in the language of the coastal dwelling native Wappo and Yuki tribes. After Wagner’s success with the Belle Glos Pinot Noir brand, Meiomi was launched with a Pinot Noir produced from grapes sourced in California’s Sonoma, Monterey and Santa Barbara counties carrying a California appellation. Retailing for an average of around $21, the sleek bottles of Pinot Noir have a glossy screwcap closure, the WAK closure from Guala used since 2009. Packaging and distribution is a big part of the success of Meiomi Pinot Noir. The close relationship of Caymus with Southern Wine & Spirits, combined with the price point is a large part of the brand’s success. Wagner spun off the Meiomi brand from Belle Glos in 2013 when he founded Copper Cane Wines & Provisions, based in St. Helena, California. He expanded the lineup of wine offerings to include a California Chardonnay, Alouette (a California Pinot Noir sold exclusively by Total Wine & More), Elouan (an Oregon Pinot Noir) and most recently, a Nouveau Pinot Noir. The sale of the Meiomi brand will allow Wagner to buy vineyards and develop other wine brands under the Copper Cane Wines & Provisions banner. Meiomi Pinot Noir has a very distinctive aroma and flavor profile consisting of very ripe blackberry and black currant fruit, a prominent oak overlay expressed as dark chocolate, cola, espresso and vanilla, a touch of violet and other floral notes, and slight sweetness due to residual sugar. The wine’s texture is fleshy and velvety. Having tasted Meiomi Pinot Noir through several vintages, I can easily pick it out of a lineup of Pinot Noirs. It is a wine that would make In Pursuit of Balance devotees frown, and yet clearly many consumers prefer a rich, ripe, well oaked and slightly sweet or off dry Pinot Noir like Meiomi. Even the wine press has embraced Meiomi Pinot Noir, with Wine Spectator awarding the 2011 and 2013 vintages 92 points, and positioning it as #20 of the top 2015 Top 100 wines. I became curious how Meiomi Pinot Noir was concocted when recently I discovered two other California Pinot Noirs that were exact knockoffs of the Meiomi style: Diora and Mark West Black. 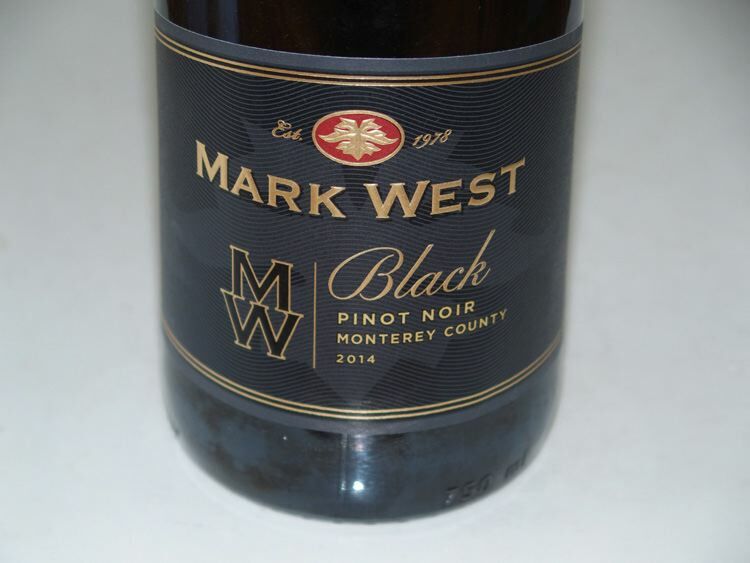 The winery’s website notes that the 2014 wine is a blend of 25% Santa Barbara County, 27% Sonoma County and 48% Monterey County Pinot Noir grapes. Previous vintages have included a small percentage of white grapes (? Riesling, Muscat) and maybe Grenache. The tech sheet for the 2014 vintage is vague about vinification other than that the lots from each of the three regions are kept separate in the winery, both punch downs and pump overs are used, and the wine is aged in 100% French oak, 60% new. Alcohol is 13.7%, pH 3.85, TA 0.55 and residual sugar 6 g/L. There are several unique features of Meiomi Pinot Noir that sets it apart from traditional California Pinot Noir bottlings. The first is the residual sugar (RS) of 6-6.9 g/L. RS is usually expressed as grams of sugar per liter of wine, that is, g/l or g/L or as percentage of weight to volume. For example, a wine with an RS of 2g/L would contain 0.2% sugar. Most dry wines, including nearly all currently produced domestic Pinot Noirs have between 0.1 to 0.3 percent RS since certain types of unfermentable sugars remain after fermentation (a wine is considered “dry” if RS is less than 0.5 to 1.0 g/L). This level of RS is undetectable to the human palate. RS can be manipulated by stopping fermentation before completion, or adding unfermented, sweet grape must (in California it is illegal to add table sugar, but permissible in Oregon). An RS of at least 6 g/L as found in Meiomi Pinot Noir would be slightly perceptible to human taste. However, the awareness of sweetness in this wine is enhanced by the relatively low acidity (high pH) and the alcohol level. This is why Pinot Noirs with higher alcohol levels, say 14.8%, and low acidity have a perceived sweetness, even though the RS is negligible. The second feature is generous oak seasoning which is not entirely unique among domestic Pinot Noirs. There is a loud vanilla note combined with coffee tones that I liken to a vanilla latte. 60% new French oak accounts for this character. The third feature is very soft tannins creating a velvety mouthfeel that is also in part due to low acidity. So, how is the wine produced? I asked several winemakers their opinion and the consensus was as follows. Keep in mind, this is all speculation, but large volume production of Pinot Noir often involves at least some of these winemaking manipulations. 1 The grapes are probably picked extremely ripe, probably at or above 29º Brix, when the pH is low and the bitter tannins have softened. 2 Enological tannin is likely added to stabilize color and improve mouthfeel (see www.scottlab.com). 3 Enzymes may be added to improve color extraction. 4 Some concentration method such as flash détenté may be employed. Flashing (heating grapes to a high temperature), on average, produces about 30% greater color and structure and frees the wine of any vegetal character (see www.winesecrets.com). 2 The wine is probaly de-alcoholized to under 14% to save Federal taxes. 3 Residual sugar is increased by adding grape concentrate. 5 It is doubtful that the wine is aged in 100% French oak barrels, 60% of which are new. The tech sheet simply says, “100% French oak.” At a retail price of around $21, it is most certain that oak adjuncts of some kind are used, as the expense of new French oak barrels would seem to preclude their use for the entire production. What is really surprising is how Meiomi his able to source enough Pinot Noir to produce 700,000 cases (the estimated production for 2015). At a conservative 2 tons per acre, an acre of vineyard produces 120 cases. To produce 700,000 case of Pinot Noir, one would need about 5,833 acres of vineyards! Even at 4 tons per acre, one would need to source 2,916 acres of vineyards. Following are reviews of the 2013 Meiomi Pinot Noir, and the two Pinot Noirs I tasted recently that are stylistic copies offered by other wineries most certainly looking to cash in on Meiomi’s popularity. The Ménage à Trois California Pinot Noir is included here as well because it has an RS of 6g/L, but I found its aromatic and flavor profile to be quite different from Meiomi Pinot Noir.